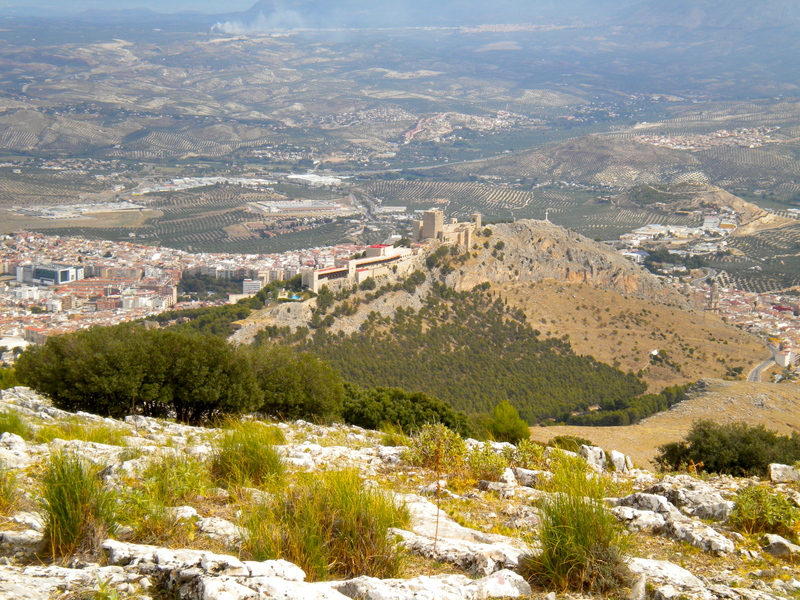 This past weekend I took a hike in the Sierras de Jaén to celebrate my birthday, figuring that a day spent outside in the fresh air would be gentler on my liver than my usual celebratory exploits. Gasping for breath after hauling my suddenly anvil-heavy body up yet another series of steep switchbacks I began to reconsider this perspective, but on the whole the trek provided an enjoyable way to avoid contemplating my ever-increasing age. 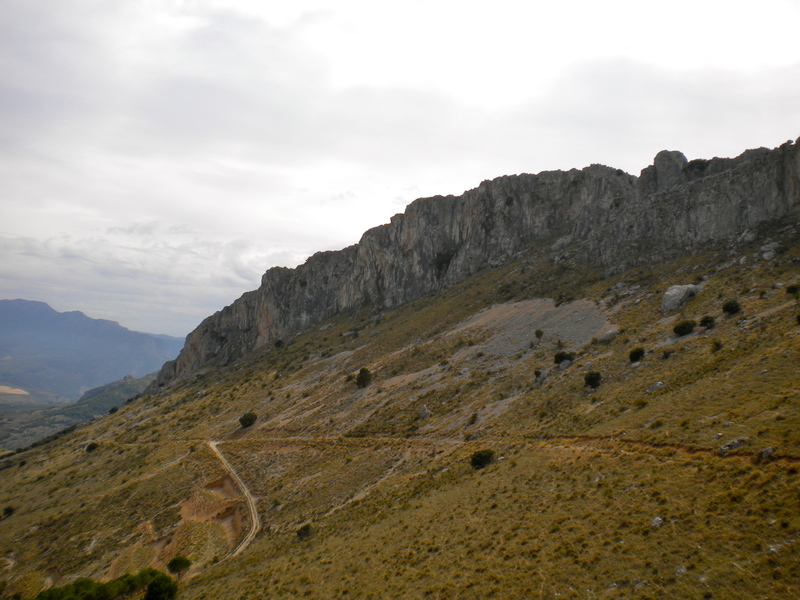 After summiting Los Morteros (the jagged dark gray ridge line visible in the first photo), I decided to return to the Castillo Santa Catalina via El Neveral, a gently domed peak that appeared to lead directly back to the fortress (appeared being the operative word here; a story for another time). 1. 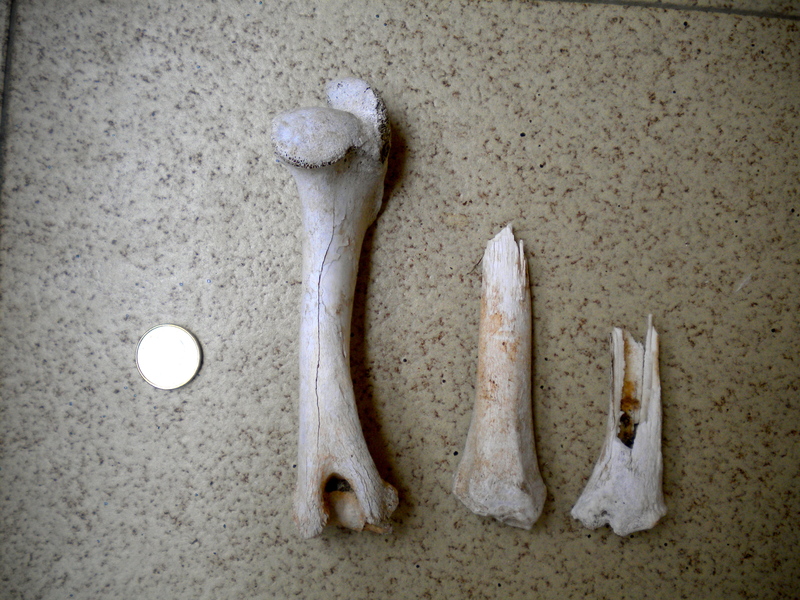 Given the local environment and the size of the specimens, what species would you guess these bones belong to? 2. Was this animal’s death recent? How can you tell? 3. Was this animal’s death the result of predation? How can you tell? 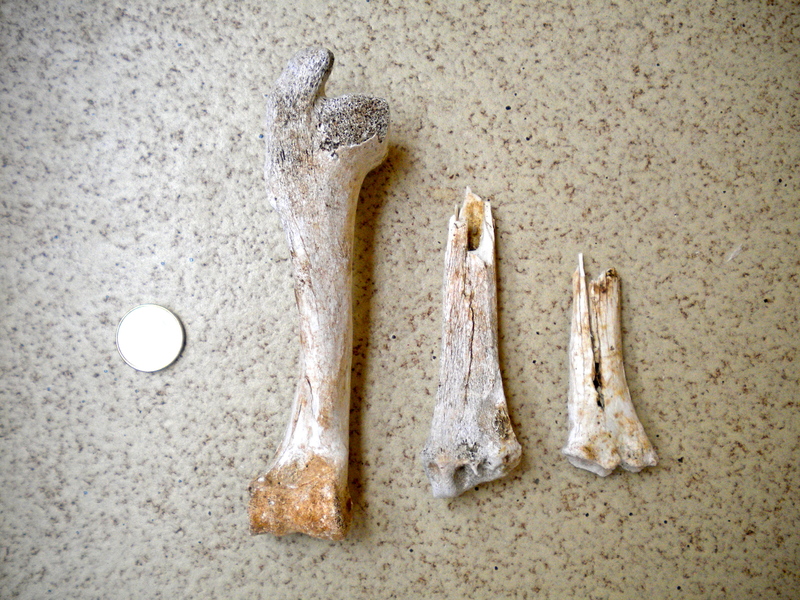 I’ve provided anterior and posterior views of the fragments of bones below, with a Euro for scale. 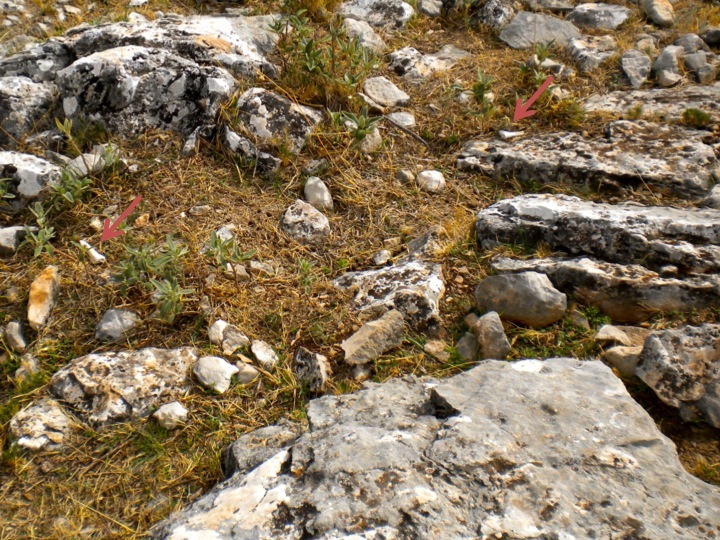 For any zooarchaeologists reading, feel free to be as specific as possible as to species – I think I’ve got a pretty good idea of what these are, but I would love a chance to double-check! 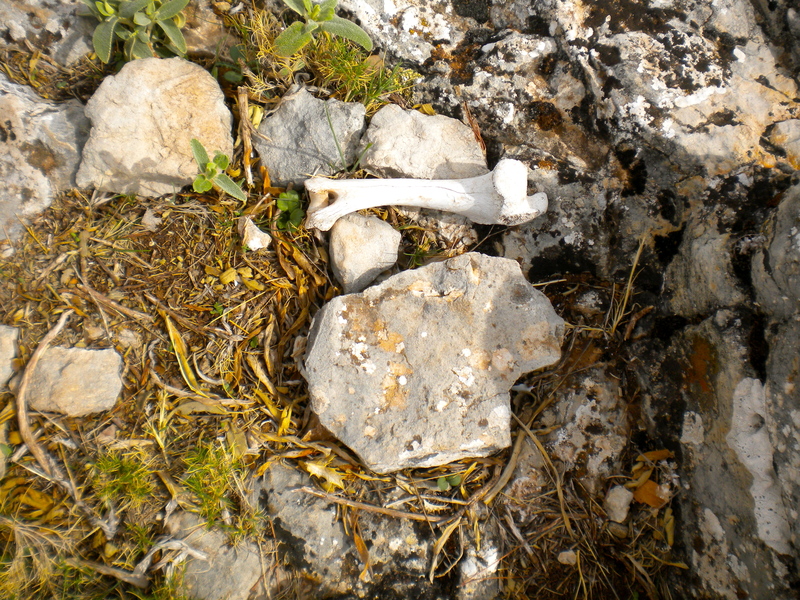 This entry was posted in Fauna, Long Bones and tagged animal bones, Bones, hiking, osteology, Spain, Travel, zooarchaeology. Bookmark the permalink. 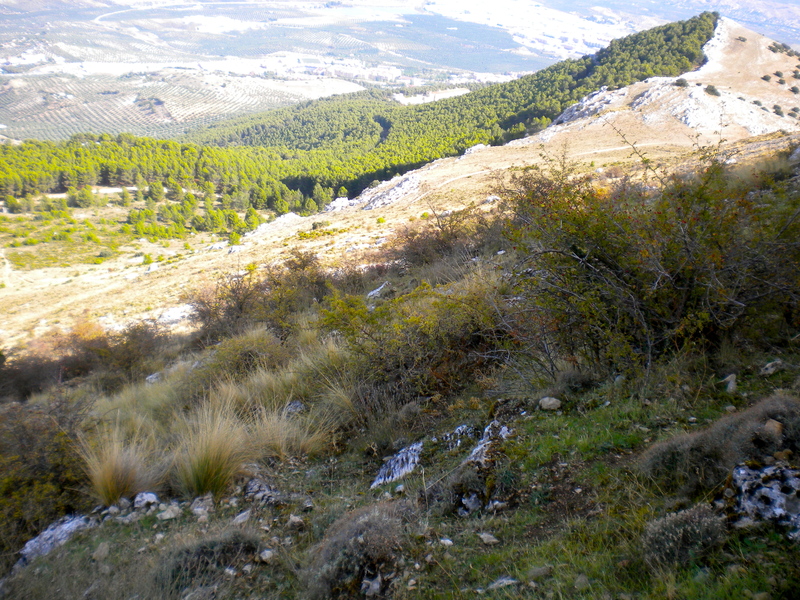 1. mountain sheep/goat, more likely goat due to the environment and available food sources. 2. Not recent, due to bleaching of the bones by the sun and possibly arid environment. 3. Possibly, I’m not sure and I can’t see any butchery marks – looks like teeth puncture marks (3?) on the distal radius though! But I’m not an zooarch! *ulna, if I’m seeing it right! the middle bone is the distal radius….